EExploration by sea in the 16th and 17th centuries led to a massive explosion of the world as people knew it. Suddenly, European travellers were able to traverse the continents, finding treasures and experiencing cultures. When South Africa was being colonised in the late 1800s and early 1900s, Indian migrants were brought over to South Africa. Since this time, they tended to gravitate, together, towards the east coast of South Africa, in and around the area now known as Durban in KwaZulu-Natal. This led to a distinct loyalty to the characteristics of Indian cooking, albeit nuanced by centuries of South African influences. Indian cuisine reflects the climate, land, culture and history in which it finds itself. South Africans of Indian origin have retained the core culinary traits of their Asian motherland but they have also incorporated African ingredients and hospitality traditions from their nearest neighbours. 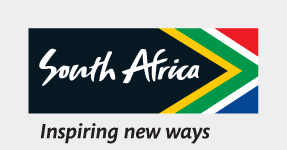 TThe restaurants of South Africa offer a wide variety of international cuisine types. These vary from Eastern favourites, such as Thai, Chinese, Japanese and Vietnamese, to German eateries, English cafés, Moroccan food stalls and American-style diners. SSouth African people of Indian descent have taken to cooking with traditional Zulu ingredients such as the fermented milk drink, amasi, while relishes such as the township classic chakalaka show evidence of the incorporation of Indian spices. TThe local Indian cuisine has very distinctive flavours. Spices are used extensively, and much of the cooking is considered to be hotter than the fare usually consumed by non-Indian South Africans. Still, the complexity and aromas of these spicy combinations are quite irresistible, which is why so many local dishes of other origins bear the marks of this cultural influence. The most common spices found in these curries are coriander, cumin, cloves, cinnamon, cardamom, and plenty of chillies. Garlic and ginger are essential to creating the characteristic flavours. Curries are served with rice as well as some sort of flatbread (such as naan bread, roti or poppadum). Other common sides to a curry are sambals, such as tomato and onion or cucumber in soothing plain yoghurt, known as raita. Common curries include Korma, Tikka Masala and Vindaloo. In India, foods are very regional specific but because the South African Indian people come from a diverse range of communities, a collective fusion genre of Indian cooking has developed. There are also Zulu influences on the Indian food in South Africa because Indian people and Zulu people lived and worked in close proximity in rural KwaZulu-Natal. TTry the mutton curry at Durban's shabby-chic Britannia Hotel or head up the coast to Impulse by the Sea at Manor Beach for a superb Indian cooking and a bean bunny deluxe. Find all the ingredients you need to make your own South African Indian cuisine by visiting the Victoria Street Market in Durban. In Pretoria, Little Durban offers a surprisingly authentic bunny chow as does Cape Town's Mariam's Kitchen in the St. George's Mall. The strong ties that many South Africans have retained to their traditional Indian roots have brought so much diversity and cultural wealth into this country. One of the aspects in which this is expressed is through food, and international tourists are encouraged to sample as much as they can to get a real taste of Africa.